Beleaguered action camera maker GoPro is recalling its new Karma drone just weeks after it launched, the company announced late Tuesday as many Americans were glued to coverage of the Presidential election. The recall affects all approximately 2,500 Karma units GoPro has sold thus far, representing a major blow as the holiday shopping season draws near. GoPro says it issued the recall after it was discovered that the Karma lost power during flight in “a very small number of cases.” No injuries or property damage has been reported as a result of the malfunctions, the company says. Those who have purchased a Karma will receive a full refund. GoPro is not yet offering replacement units. GoPro founder and CEO Nick Woodman said in a statement that the company is working with the U.S. Consumer Product Safety Commission and Federal Aviation Administration on the recall. “We are very sorry to have inconvenienced our customers and we are taking every step to make the return and refund process as easy as possible,” said Woodman. 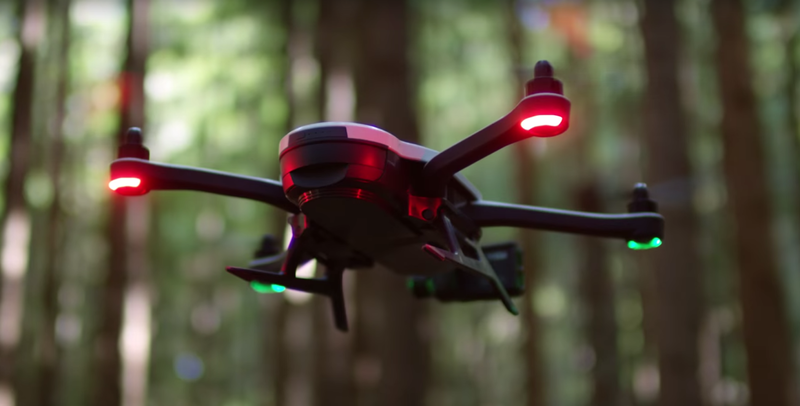 Launching a drone has been GoPro’s latest attempt to diversify its product portfolio amid a period of struggle. The recall comes after GoPro last week reported dismal quarterly earnings, with sales down nearly 40% year-over-year. The Karma is a direct challenge to drone maker DJI, which controls about 50% of the drone market share in North America, per one estimate.